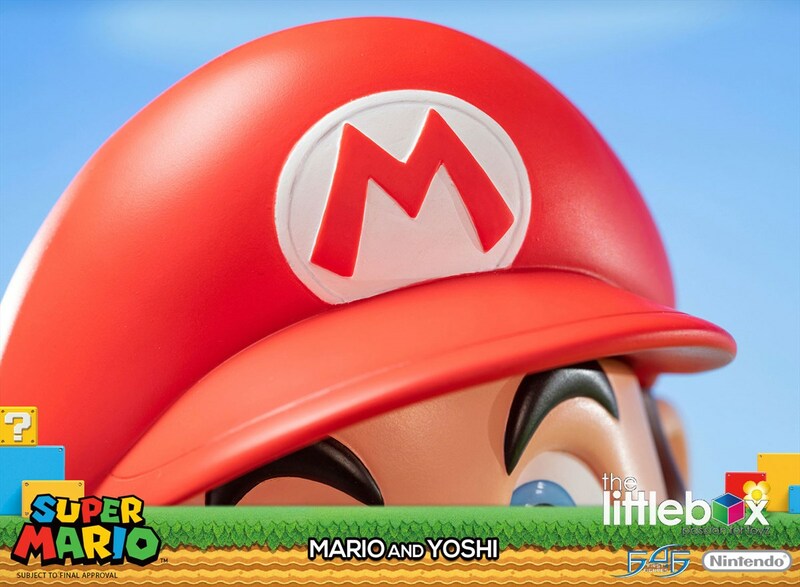 SINGAPORE CUSTOMERS WILL HAVE FREE LOCAL DOOR TO DOOR HOME DELIVERY ! 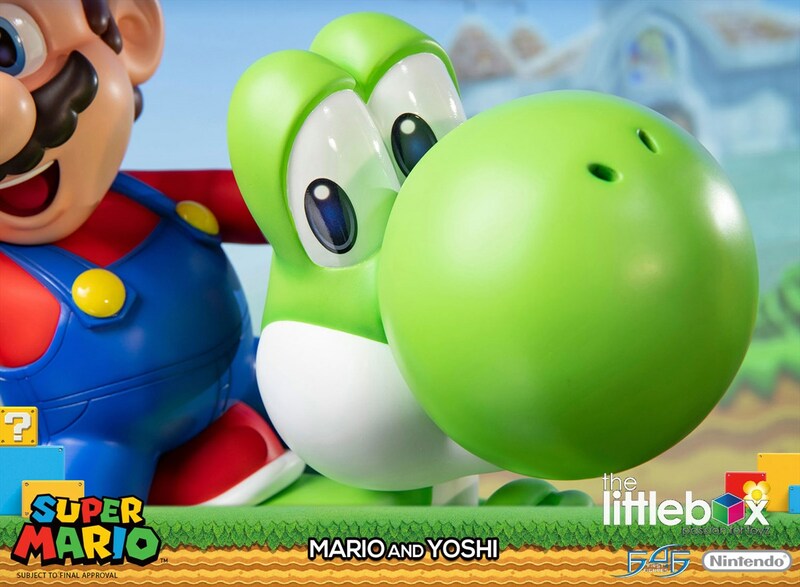 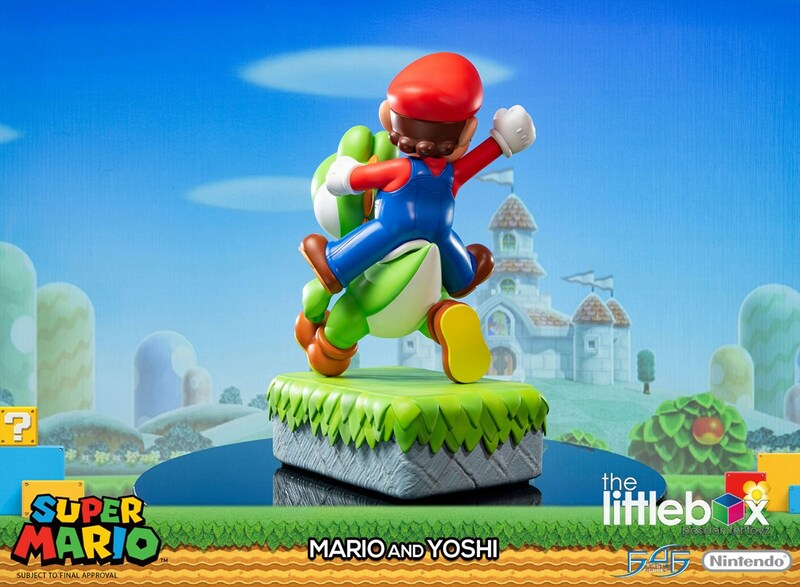 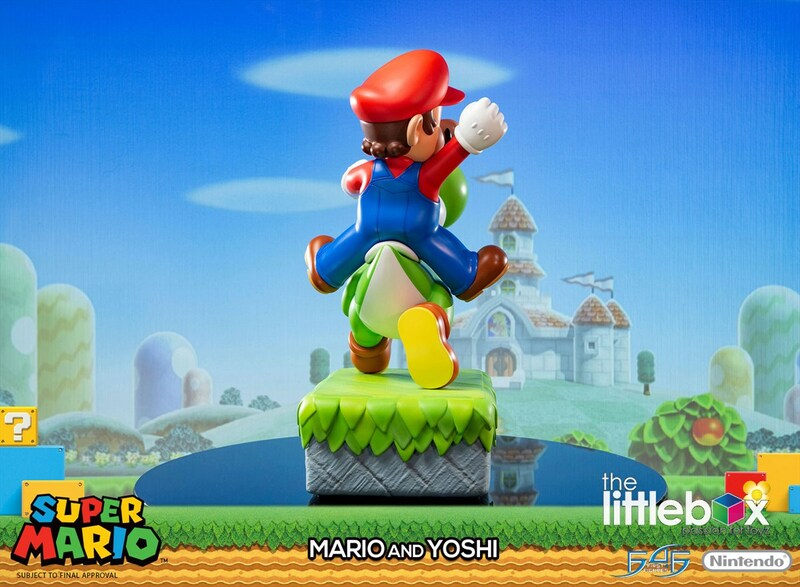 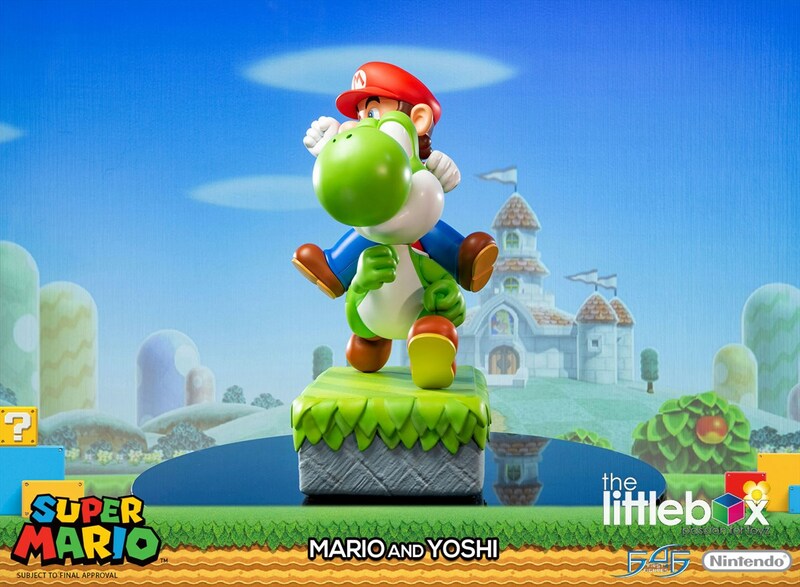 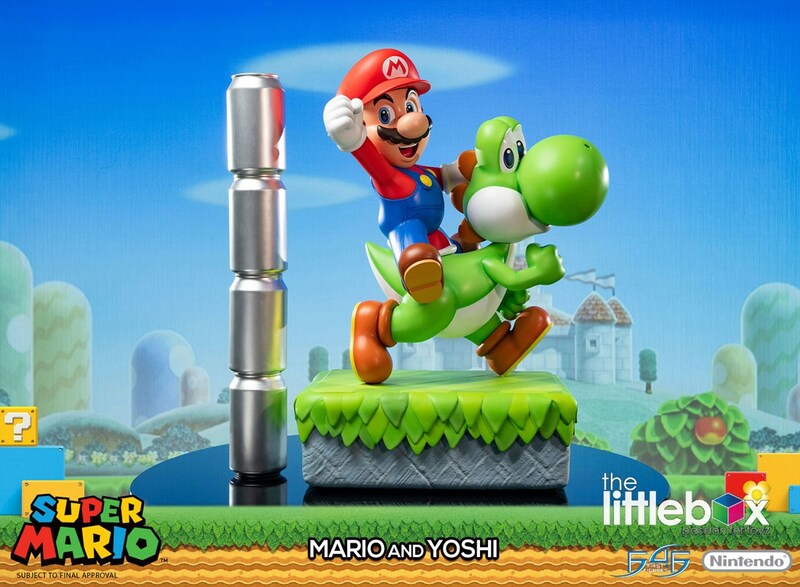 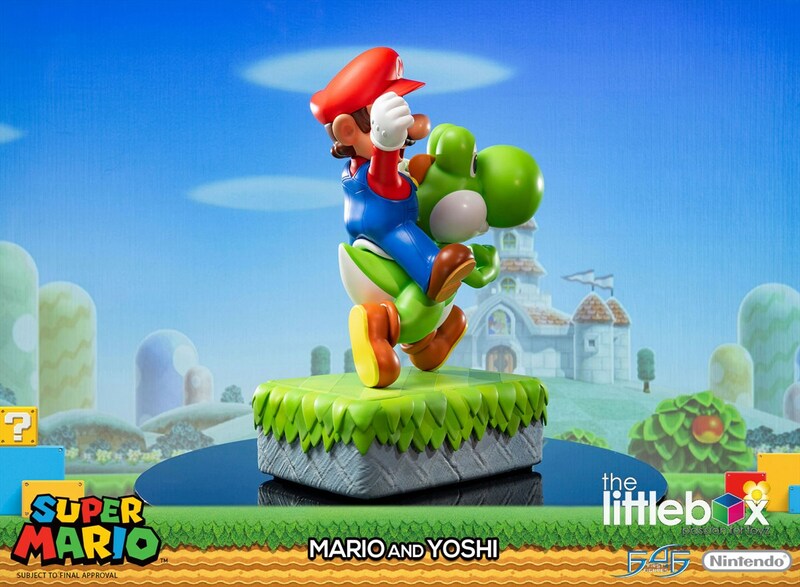 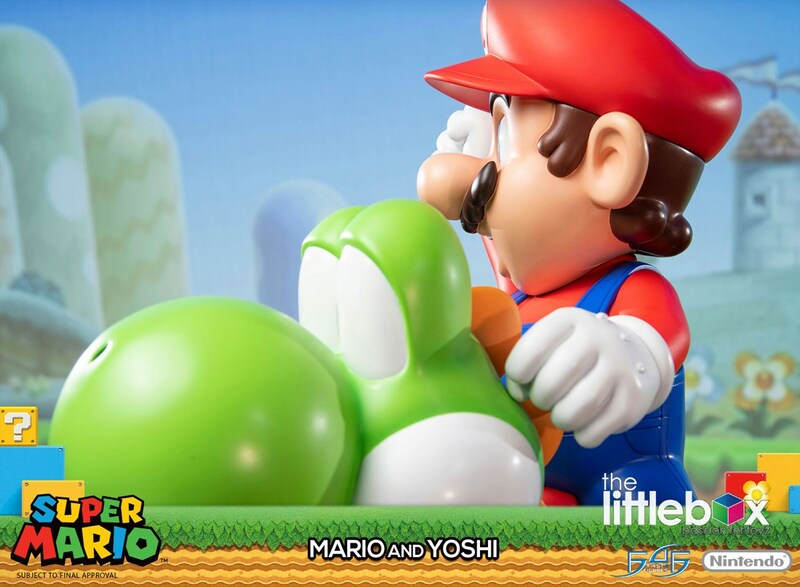 First 4 Figures is proud to present the highly anticipated Super Mario – Mario and Yoshi statue. 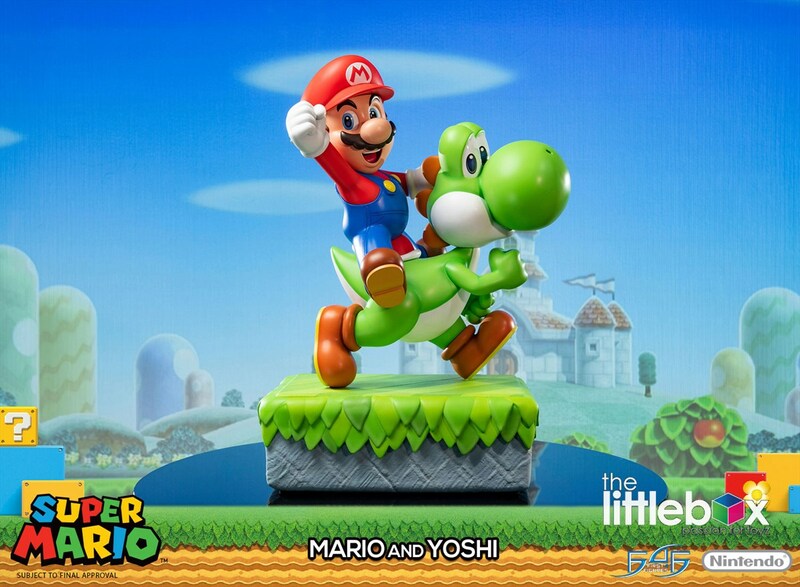 Yoshi is known as Mario's trusted companion throughout the plumber's adventures to Rescue Princess Peach and foil the evil plans of the menacing Bowser. 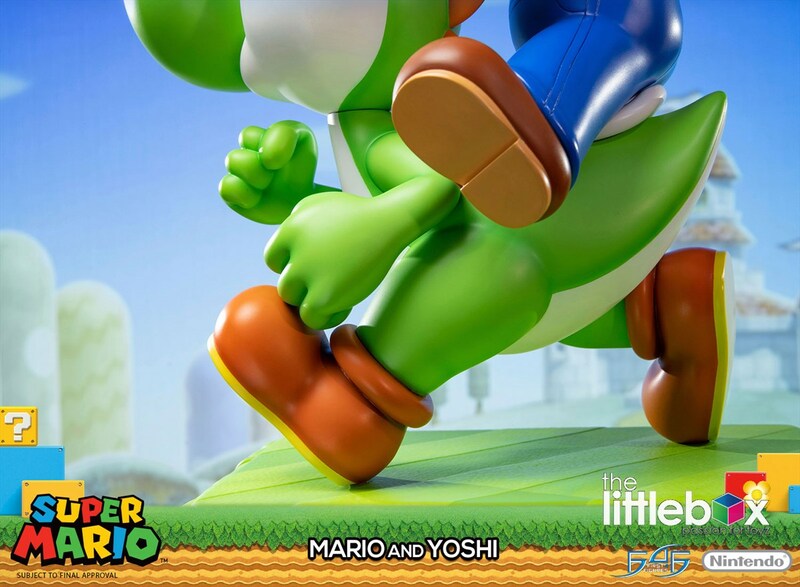 Yoshi was initially meant to be a type of Koopa, but eventually evolved into the design we all know and love today. 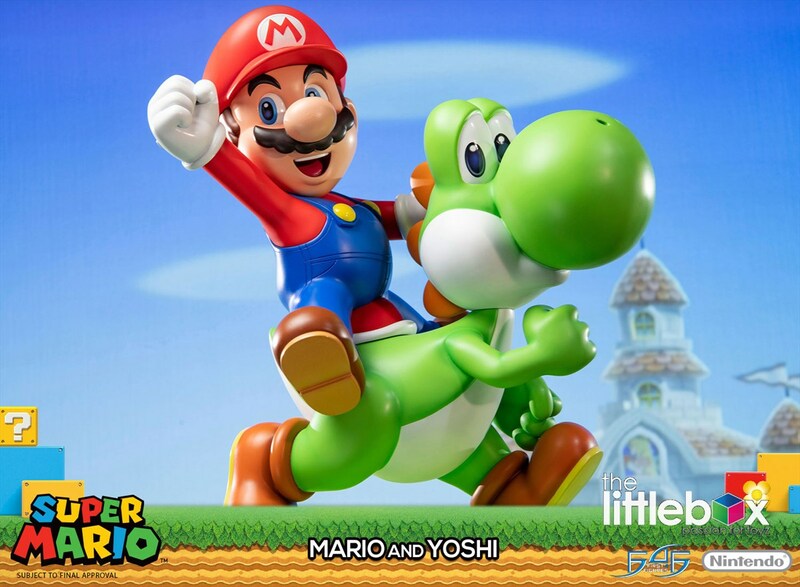 The shell was converted into a saddle for Mario to mount on and was given a more dinosaur-esque sketch to differentiate the two species. 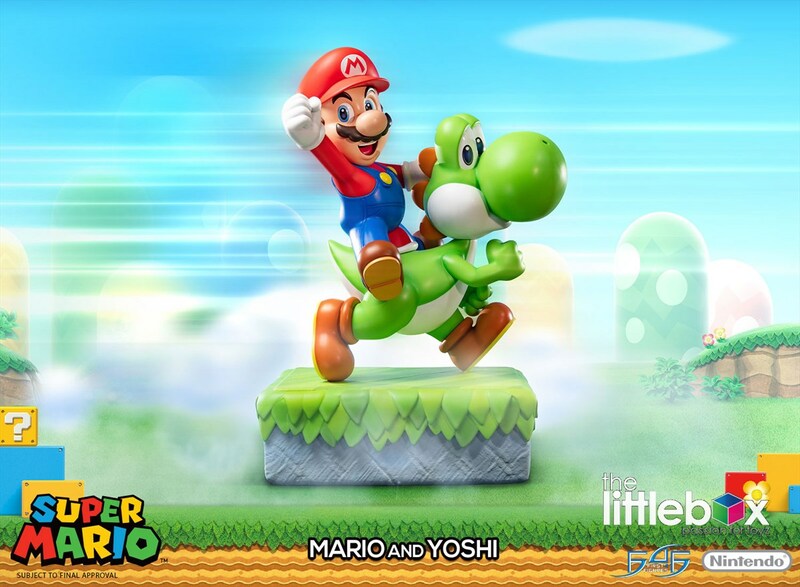 Apart from Mario's abilities to shoot fireballs using the Fire Flower and time-limited invulnerability using the Super Star, the tandem is better able to defeat their opponents with the help of Yoshi's unique powers. 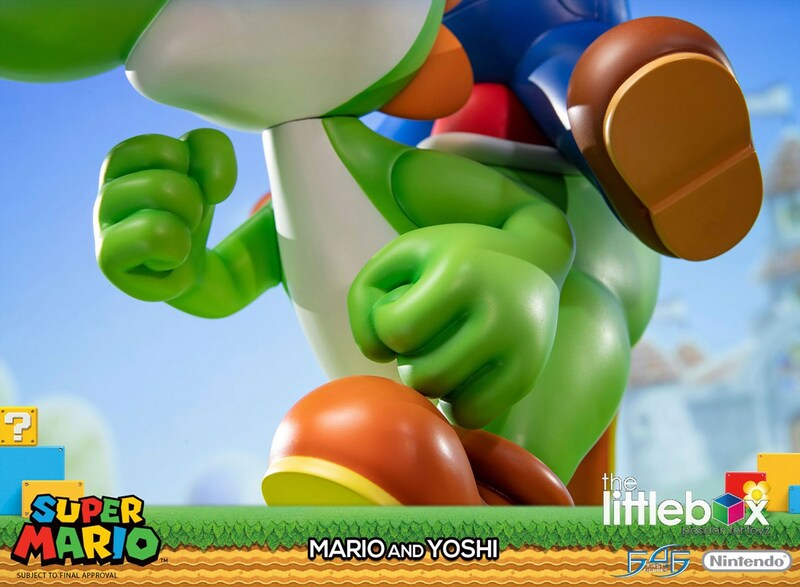 Yoshi can swallow his enemies whole using his hyper-extended tongue and gain special abilities depending on the ingested opponent, or lay them into eggs which can either serve as projectiles or hatch into power-up items for Mario, depending on the video game title. 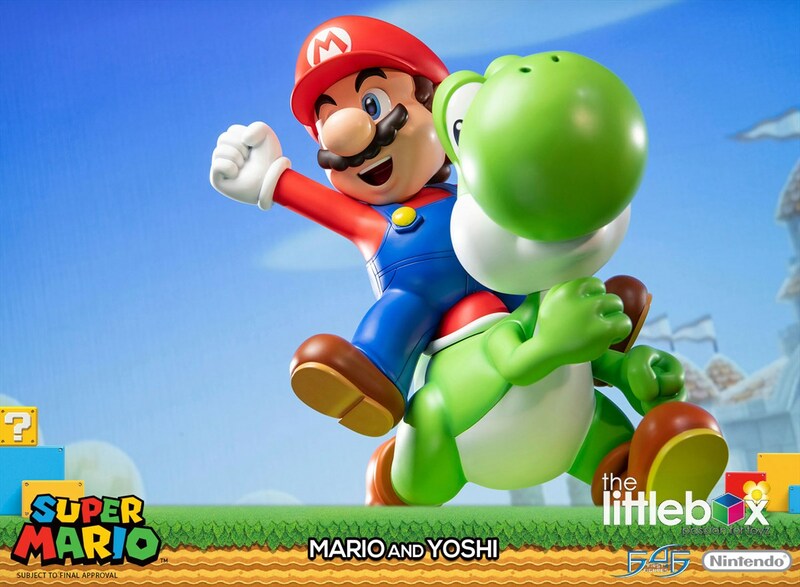 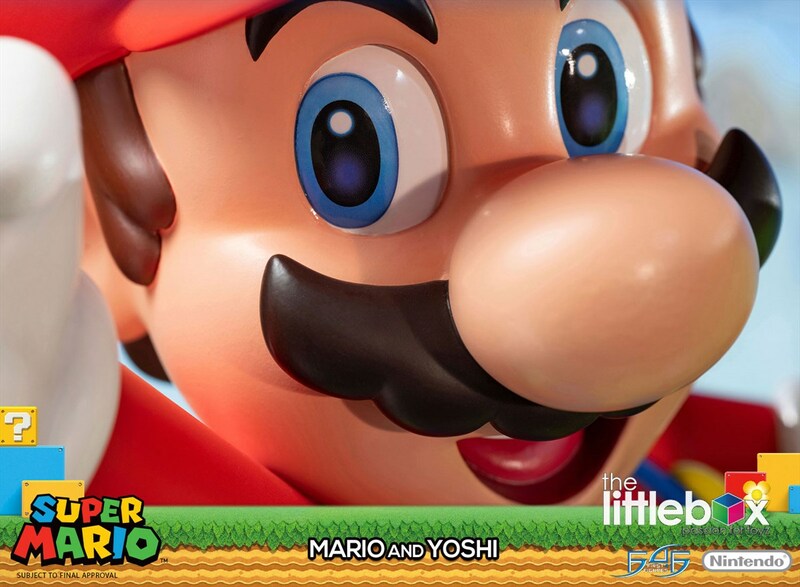 Mario continues to be the face of Nintendo after all these years, and ever since Yoshi's debut appearance, everyone's beloved green dinosaur has become a mainstay in the Mario franchise.